Available in small, medium, large or X large. 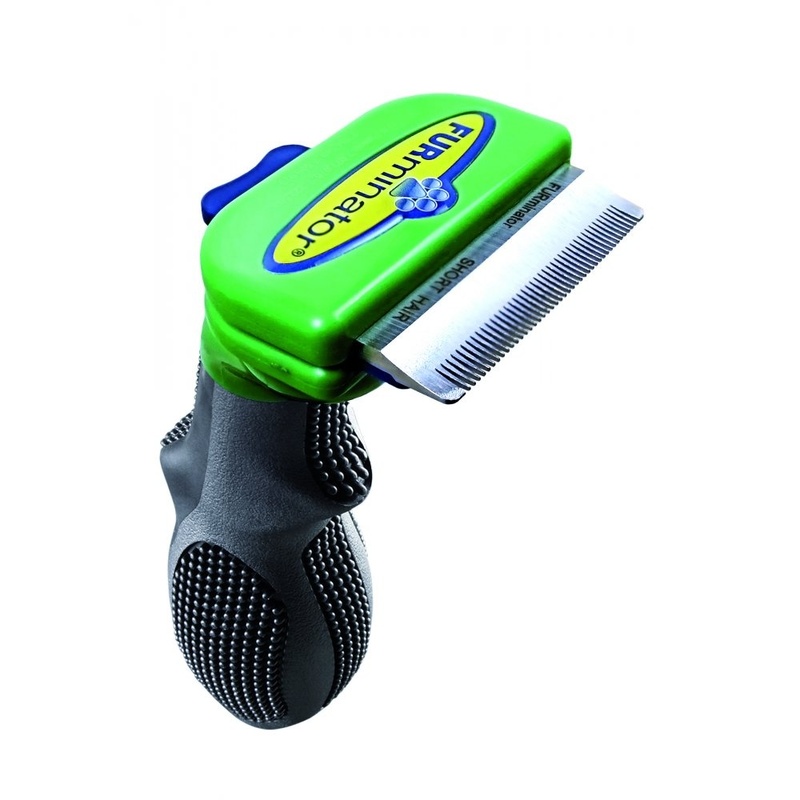 The FURminator is a multi-purpose tool designed to thin and remove undercoat hair and reduce shedding. The FURminator comfortably, safely and efficiently remove loose hair, helping to promote healthy skin and a shiny coat. 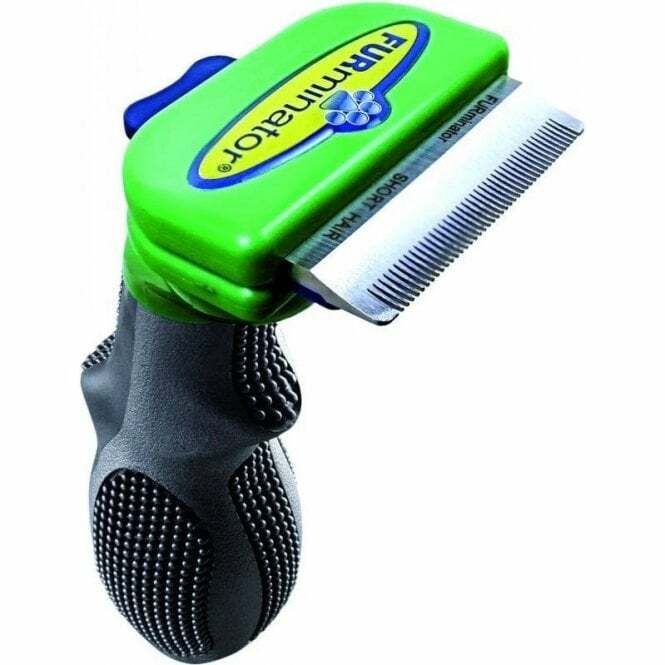 This shedding tool includes a convenient push button to remove hair from the blade, and it features a textured handle for user comfort and control. Please browse our full Grooming Tools range. Fabulous little tool, makes such a difference to the appearance of a short coat, also the dogs enjoy the feeling of the tool, my dog relaxes so much, she closes her eyes! Great for deshedding, with this product the name does mean something , much better than cheaper substitutes.